The phrase “as busy as a bee” exists for a reason. In order to produce a pound of honey, over 750 bees must log over 55,000 miles in flight. During this extensive flight to visit over 2 million flowers to collect nectar, the bees also pollinate the plants that make 1 out of every 3 bites of food we eat. Their buzzing sound is created by their wings flapping around 11,400 times every minute. This process is very energetically costly to the bees, especially considering that flowers are getting harder to find as urbanization continues to spread. Unable to find nectar to sustain the journey, bees can fall to the ground and appear dead out of exhaustion. Given a little sugar, they’ll perk right back up and continue on. After Italian designer Hady Ghassabian had come across exhausted bees, he was inspired to carry around a lifesaving dose of nectar for these times of emergency. 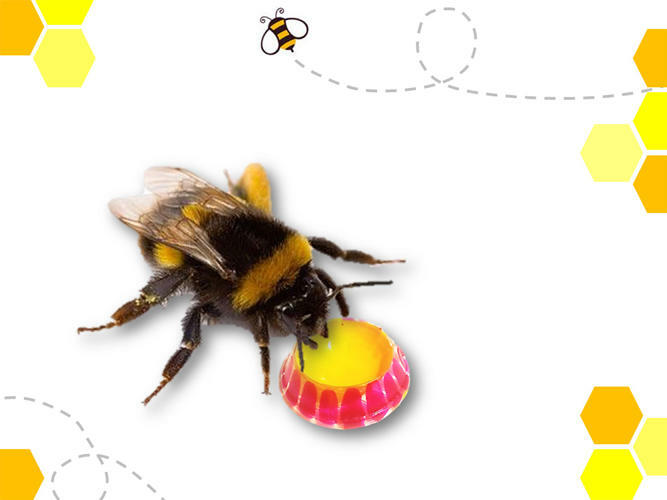 The result was Bee Saver: a small biodegradable plastic container filled with a specially formulated artificial nectar. It can be worn on a keychain for easy access when a bee is in need. Just rip off the biodegradable seal, offer it to the needy bee, and watch her buzz off along her way. Bee Saver is not currently available for purchase, though Ghassabian has said on the product’s Facebook page that a crowdfunding campaign will be coming soon. Bee populations are in serious decline. Pesticides, climate change, and disease are the largest reasons why 45% of commercial honeybees in the UK have been lost since 2010. 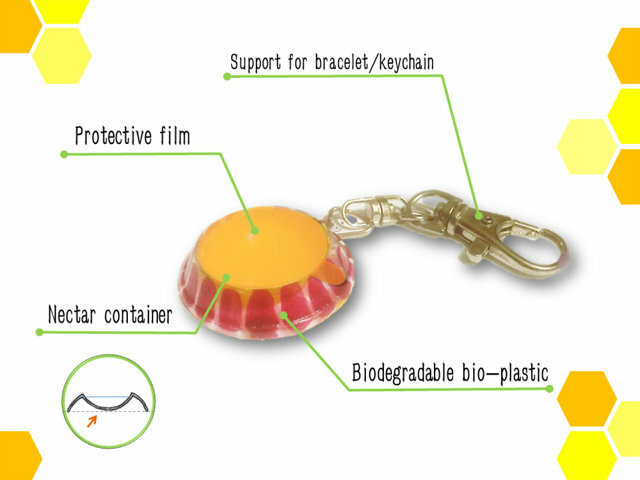 Saving one bee at a time with a Bee Saver keychain isn’t going to reverse the crisis and restore the populations, but it can begin teaching empathy and help draw awareness to this important cause. Through pollination, honeybees perform over $340 billion in agricultural services. Humanity simply cannot afford to lose them. In order to make a difference and help honeybees local to you, make your garden and yard bee friendly by limiting the amount of pesticides used. Additionally, offer bright, colorful flowers that will attract honeybees and provide shelter for them against the elements. If you have a hive that needs to be removed, hire someone that can physically relocate the bees safely and humanely.